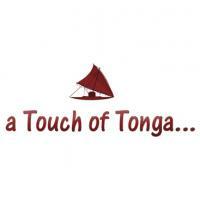 a Touch of Tonga offers business services in the Kingdom of Tonga. Classical crossover music – that genre of music that floats between Classical and Pop – comes to us in different ways. One form of classical crossover involves classically trained musicians and singers performing popular and contemporary music in the classical format in which they're trained. This might be as simple as an opera singer performing a contemporary hit song. Sometimes contemporary pop music is arranged and performed in Classical or traditional orchestral form. This might happen when a symphony orchestra performs the works of a famous rock band in classic orchestral style. In this case the performance may lose the original music's rock feel and sound just like an orchestra of ages past. And then occasionally, a popular musician or singer wants to perform a Classic work – although in recent times this kind of pop musician crossover is often a rock singer recording a jazz album instead of a purely Classical work.